The certificate demonstrates that the installation complies with the relevant Building Regulations. The information on the certificate is used to record your installation, and in England & Wales it is used to notify your Local Authority Building Control Department (LABC) of the work that was undertaken. This self certification takes the place of a Local Authority Building Notice. The information can be required to validate your home insurance and will be required in any home selling process. Failure to notify the Local Authority can be an offence resulting in enforcement action. 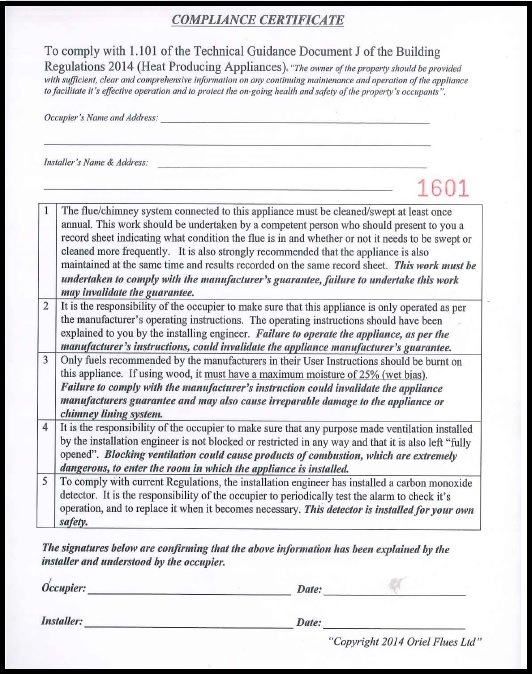 Regulations and certification vary by regions, consumers in Scotland, Northern Ireland, Republic of Ireland and Isle of Man should contact their relevant Local Authority prior to commencing any installation work as the regulations for notification by Competent Person Scheme registrants do not apply in these regions. Other regulations may apply to particular categories of work.